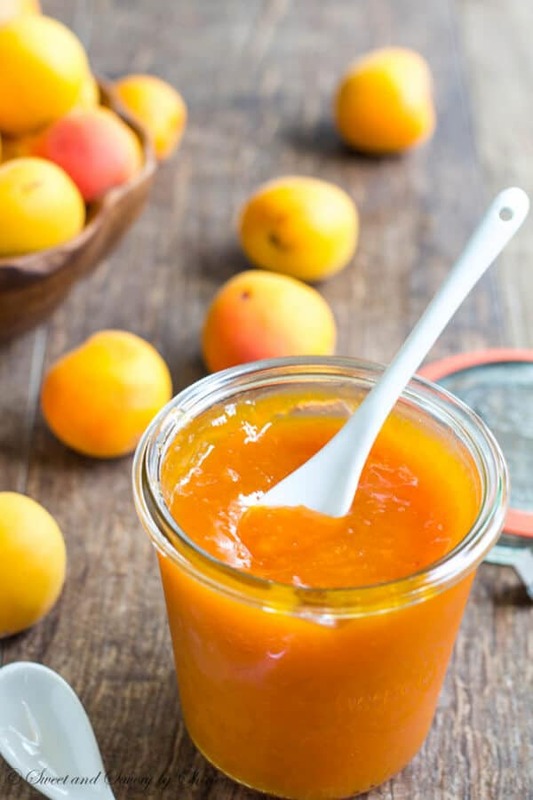 This slightly tart apricot jam is the best way to preserve your apricots this season. Add some jalapeno for a lil kick, or sweeten it with honey. There is something for everyone. Greetings from Denver, my friends! I’m enjoying my last trip for this summer. Last two months have been incredibly busy with lots of long and short travels. 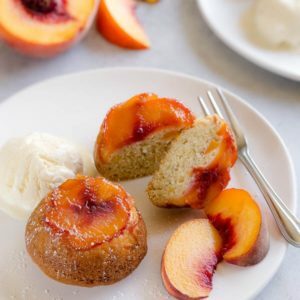 Between the trips, I was busy in my kitchen preserving fresh summer fruits, like peaches, apricots, cherries, and even some figs. Fortunately, our apricot trees in the garden at the ranch were exceptionally generous this year. 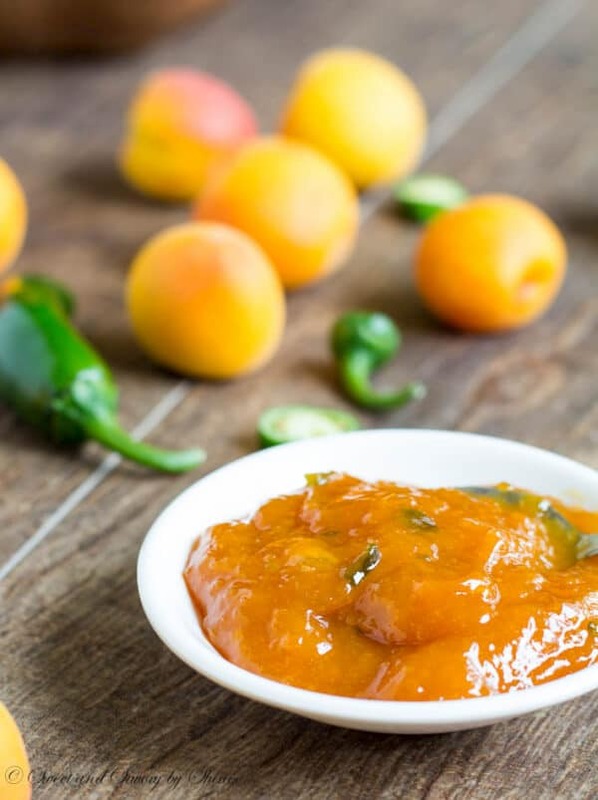 These garden apricots are on tarter side and have more intense flavor, which makes it perfect for jams. 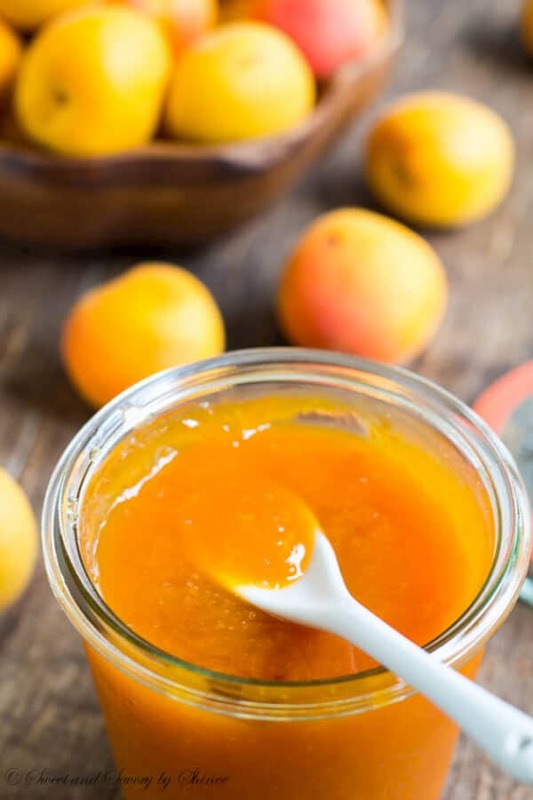 To me, perfect apricot jam has the perfect balance between sweet and tart, and even a little on a tart side. 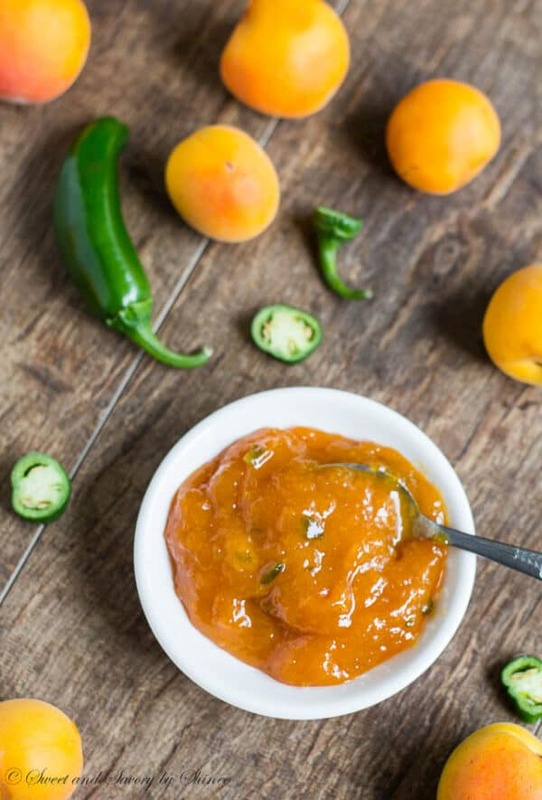 I made 3 variations: regular apricot jam, apricot jalapeno jam (for us heat lovers! ), and honey sweetened apricot jam. To make this jam is ridiculously simple. 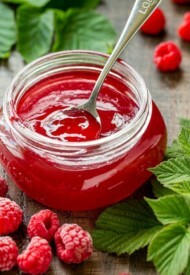 Even if you have never made jam before (I’m pretty novice too! 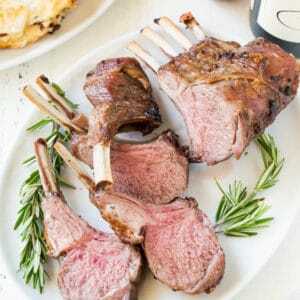 ), this is really a fail-proof recipe. 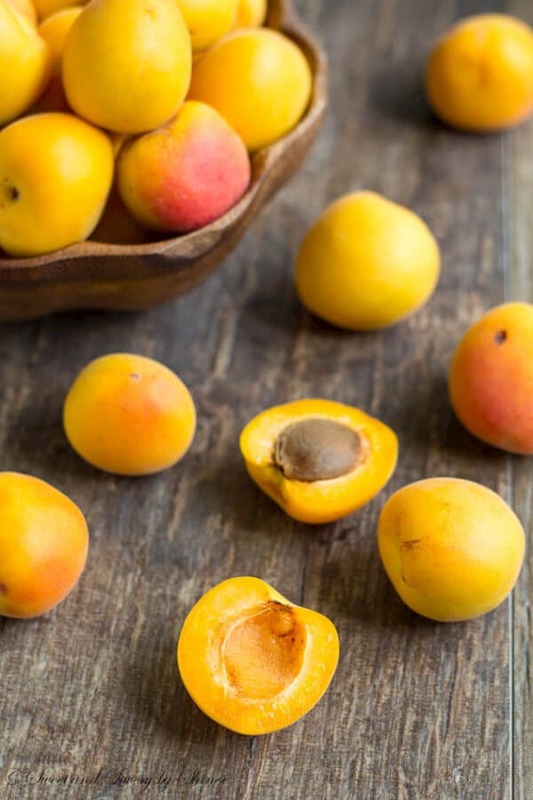 We’ll start with washing the apricots, and then we’ll puree them in a food processor. 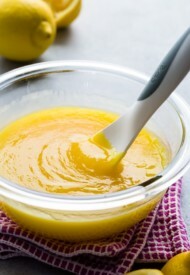 Then we’ll mix the apricot puree with sugar and fresh lemon juice and boil for 30-40 minutes. For step-by-step canning photos, check out my easy strawberry jam without pectin. If you like a sweeter jam, feel free to add an additional cup of sugar. In my second batch, I used raw honey to sweeten the jam. 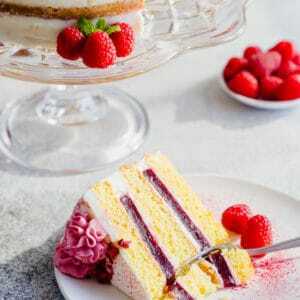 No sugar whatsoever! It was equally delicious, but keep in mind the honey flavor slightly overpowers the tart apricots. You don’t want to cut down on honey either, because it won’t be sweet enough. The color is slightly darker than the regular apricot jam. 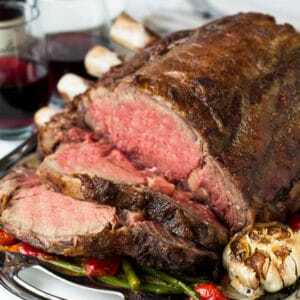 This one is perfect on 12-grain toast with butter. Mm-mmm! Out of all three batches, apricot jalapeno jam was my favorite. Sweet and tart, this jam has perfect kick to it. It’s not too mild, but not too hot either. If you eat a few spoonfuls back to back, like I did, yeah, you’ll definitely feel it. Otherwise, in small doses, on a pancake, for example, it’s not burning hot or anything. And look at those beautiful green specks from chopped jalapenos. Simply gorgeous! Simmer the jars in a large canning pot. Do the same thing with lids and rings in separate pot. 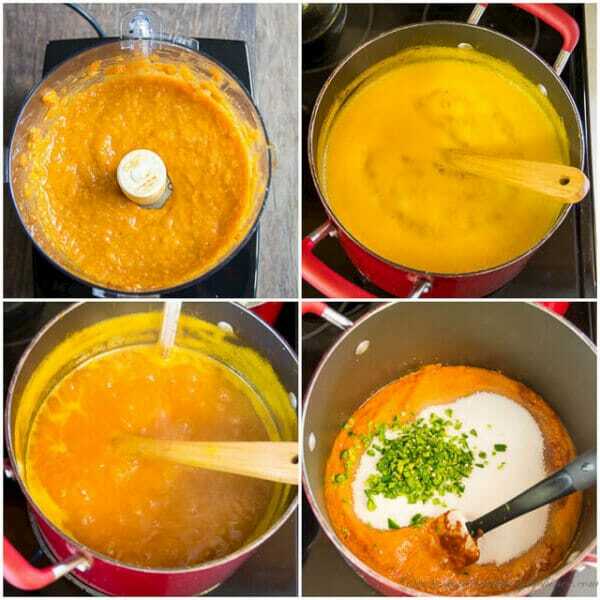 In a large pot, combine all the ingredients and simmer over medium heat until the sugar (or honey) is dissolved, about 5 minutes, stirring occasionally. Increase the heat to medium high and bring the mixture to a rolling boil. 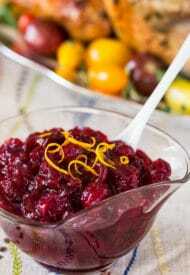 Stirring constantly, cook the jam for 30-40 minutes, or until it reaches 220°F (104°C). Pour the jam into hot sterile jars. Leave about ¼ inches from the top. Clean the edges of the jars with a damp paper towel. Put the lid on and tighten the ring around them, but not too tight. Place the jars back into the canning pot with hot water. Water should be about 4 inches (10cm) over the jars. Bring it back to rolling boil and boil for 10 minutes. 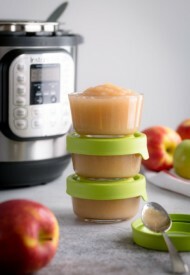 Transfer the jars onto a cooling rack and let them cool overnight. You will hear popping sounds, which is good thing. It’s a great sign that your jars are being sealed. 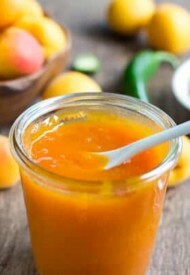 This apricot jam looks delicious!! 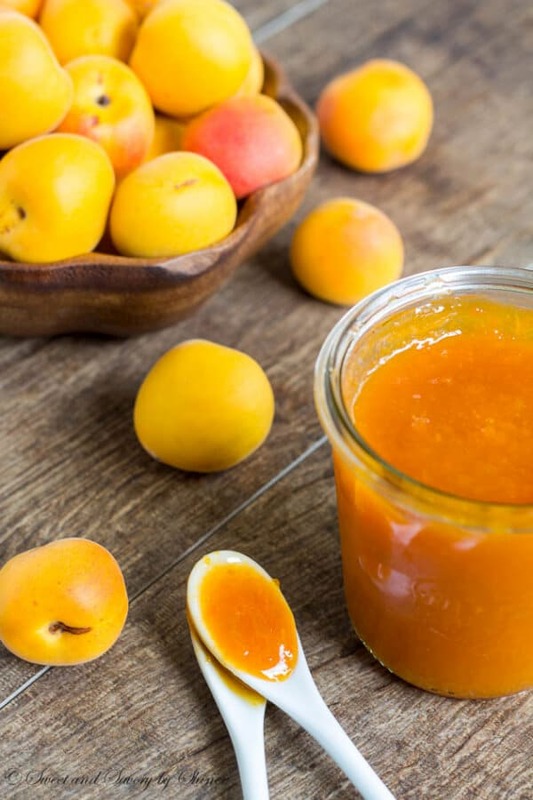 this apricot jam looks seriously delicious.. loving the amazing orange colour! 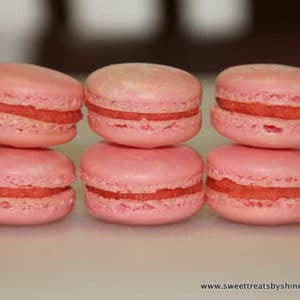 never made my own jam before, you have definitely inspired me to give this recipe ago!